But state charter school officials contend that hasn’t happened for most students in the five years the 6-12 school has operated. 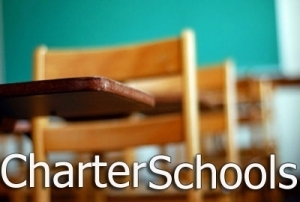 As a result, the Charter School Advisory Board (CSAB) has recommended the school’s charter not be renewed. The CSAB cites poor tests scores, and the fact that students have only met academic growth once since it opened in 2013 for its recommendation to close the school. The school also has persistent financial problems. “This school is just not cutting it,” Steven Walker, vice chairman of the CSAB, told members of the State Board of Education [SBE] during its monthly business meeting Wednesday. Walker noted that only 17.9 percent of the school’s 260 students were proficient on state tests last year, the school has been rated an “F” school five consecutive years and students only met expected growth once in five years. “Charter schools, we don’t have as much regulation as traditional public schools, but what we have is, we have accountability,” said Walker, adding that no traditional public school has been shut down due to poor performance. The SBE will vote next month on whether to close the school. SBE member James E. Ford, who lives in Charlotte, visited the school on Tuesday. He said the school’s performance data tells a story, but not the whole story. During his visit, Ford said he learned that many of the students, for various reasons, cannot survive in a traditional school setting. And despite less than stellar performance data, Ford said the school graduates students. 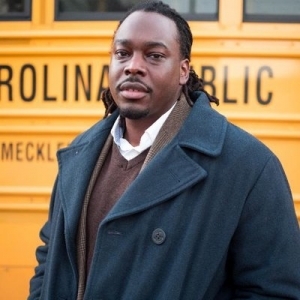 According to state data, Charlotte Learning Academy [CLA] has a 73 percent, four-year graduation rate and a 93.5 percent, five-year graduation rate, which is slightly higher than Charlotte-Mecklenburg Schools. Ford said he wants more “contextual information” beyond the school’s performance data. “I just need a little more information,” Ford said, adding that he wants to ensure whatever decision is made is fair and equitable. Walker agreed to provide Ford with as much additional information as he needs before the board votes on the CSAB recommendation. But he said, if CLA is allowed to continue to operate, it could set an unwanted precedent. Alex Quigley, the chairman of the SBE who directs a charter school in Durham, said he would recommend closing his school if its performance data was similar to CLA’s. The CSAB has recommended that the charters of 30 other schools be renewed. This is fake news. These people are out of control. One day NC Superintendent Mark Johnson says testing will be significantly reduced, then the next day CSAB sites low test scores as the reason for another charter closing. Pay attention NC. There are underlying conflicts of interests that are the REAL reason for all these closures. Why is no one asking CSAB to prove what, if anything, they are doing to support struggling schools? I can tell you…ABSOLUTELY nothing!!!! Pay attention NC! We need a change in leadership at NCDPI in 2020. This is what happens when business people and lawyers are running public schools. They are not considering all stakeholders nor what’s in the best of NC students. CSAB members are benefitting directly from these closures. This is unethical and illegal. Pay attention NC!